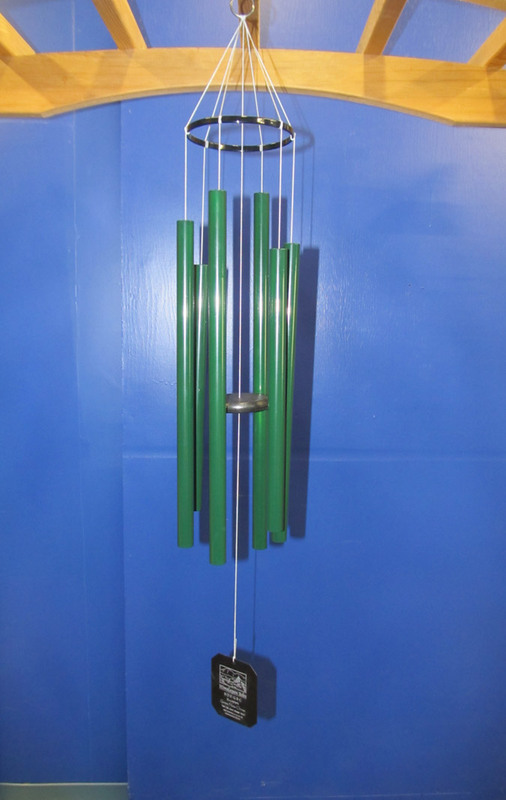 Approximate Overall length - 36"
The Green Himalayan Echo Chime is one of our new powder-coated windchimes. Featuring a sparkling green powder coating, the chime from the Himalayan Echo inspires a vision of misty mountains in faraway places, morning sunrise, and the smell of sandalwood. 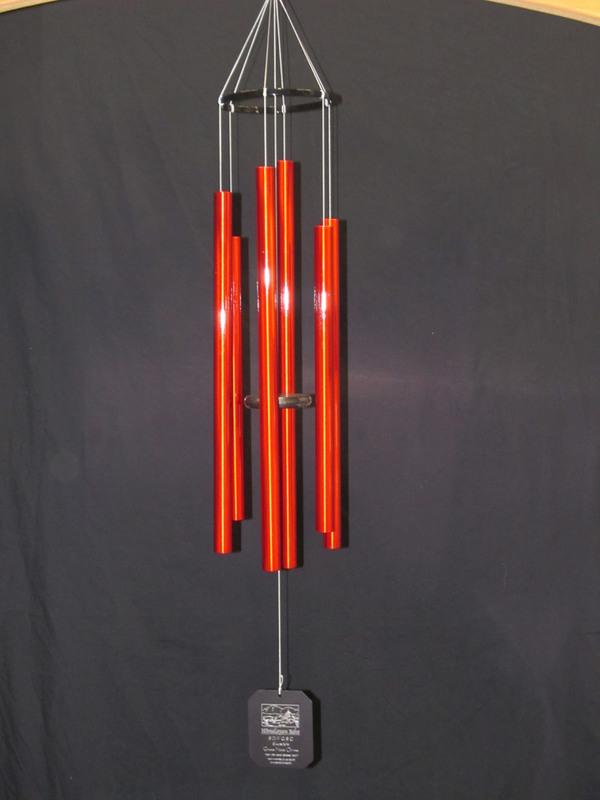 This chime, like our other chimes, is made from harmonically-tuned aluminum, and features a recycled composite wood striker. A personalized engraved faceplate can be added if desired. This product carries a 10-year guarantee against breakage for the parts and assembly.